Installation of a couple of solar power systems this and next month will help take City of Greater Geelong (Council) over the 500kW total capacity mark. 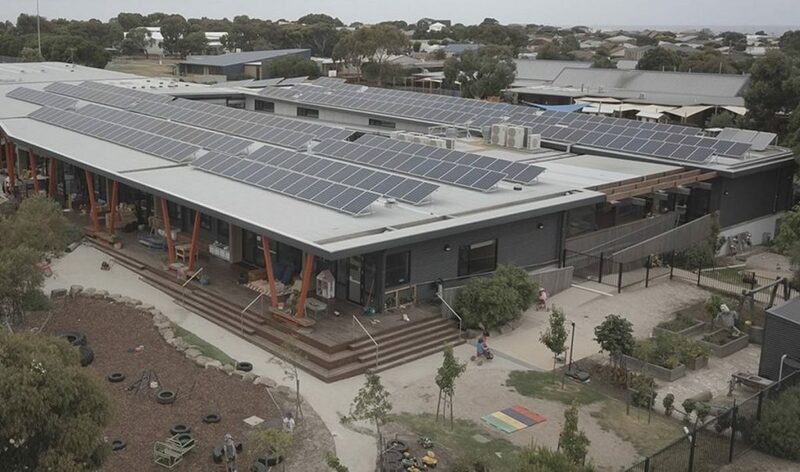 A 30kW system is being installed at the Waurn Ponds Library this month, followed by another 30kW project at the Grovedale Community Hub in April. By June, a total of 508 kilowatts will be installed under the City of Greater Geelong’s Zero Carbon Buildings program, comprising 1,877 solar panels that are expected to generate “66,198 kilowatts per hour of energy per year” (but that should probably be 661,980kWh per year) and avoid 753 tonnes of greenhouse gas emissions annually. Among the other installations already in place is a 99kW PV system on the rooftop of Leisurelink Aquatic Centre in Grovedale, which was completed in December 2017. The aquatic centre is Council’s highest energy-consuming building. Payback is expected to be fairly rapid on all systems recently installed, estimated at 5-6 years. A common payback time-frame for commercial solar these days is anywhere from 4 – 6 years. City of Greater Geelong’s goal of reducing emissions from its buildings and vehicle fleet 50% by 2020 is based on 2014-15 levels. 16% of the 2020 reduction target will be met through energy efficiency and solar power on Council’s high energy consuming buildings, while the remaining 84% will be met by purchasing carbon offsets. Longer term goals are a 75% emissions reduction by 2035 and 100% by 2050, although both these targets are due for review in 2020. As for how the wider Geelong community is faring on the solar front, approximately 15.5% of dwellings in the local government area had solar panels installed as at January 2019 according to statistics sourced from the Australian Photovoltaic Institute (APVI). There were 16,889 installations less than 10kW in place and 435 installs of between 10 and 100kW capacity. APVI notes 4 installations over 100kW, with these larger systems collectively adding up to 1,566kW capacity. The City of Greater Geelong is one of the largest municipalities in Victoria. It covers an area of 1,247 square kilometres and had a population of 233,429 at the time of the last Census (2016). >By June, a total of 508 kilowatts will be installed under the City of Greater Geelong’s Zero Carbon Buildings program, comprising 1,877 solar panels that are expected to generate 66,198kW of electricity a year and avoid 753 tonnes of greenhouse gas emissions annually. I think that “66,198 kW” should be 661,980 kWh/yr. 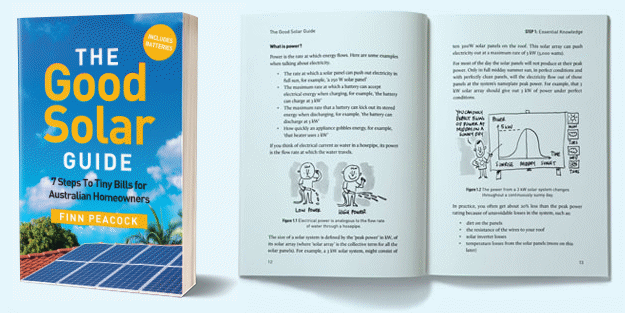 500 kW panels * 4 kWh/day per kW of panel = 2000 kWh/day or about 700,000 kWh/yr -? Thanks Richard, you’re correct and I’m an idiot. While the Council release states 66,198, I should have picked it as it’s an issue that pops up regularly in press releases and even material direct from solar farm developers. I then added to the issue with the way I noted it. This is the second time I’ve missed something like this in the past couple of weeks, I need to take a bit more care. Correction made. No worries dude 🙂 I found the article interesting & informative anyway!